What’s the difference between a paranormal investigator and a ghost hunter? We consider ourselves paranormal investigators, because we generally investigate all paranormal claims. However, to date most of our activity has been in ghost hunting. Can you take a look at the orbs in my photo? We can help you review potential evidence, but bear in mind almost all “orbs” are actually lens flares, droplets of water vapor, or dust particles on the lens. In 20 years of investigating, we have never had an injury as a direct result of paranormal activity. The only real risk of injury comes from not being careful at a site, particularly old or unstable buildings. Investigators who wear appropriate clothing and take care on uneven floors and staircases have nothing to fear. Do you travel outside Colorado? Generally, no. Because we’re an all-volunteer team, we have to consider the impact of travel on our personal finances. If you’re outside the Front Range area, please see The Atlantic Paranormal Society’s investigator directory to find a team near you. What do you do once you’ve found a ghost? When evidence indicates that genuine paranormal activity is present, the client has a number of options. Most of our clients find that they’re reassured simply by having us investigate, and sometimes the activity decreases or stops on its own. We will firmly tell malevolent spirits to leave a client alone. Some clients prefer to do a cleansing or have a priest bless the house, and we have a very reputable one on speed-dial. Certainly! We have given many presentations at schools, libraries, fundraisers, etc. Please contact us if you’d like someone from BCPRS to speak at your event. Although we never charge for investigations, we do ask for a small speaking fee to help defray the cost of equipment and travel. Why do you anger the spirits? You’re causing trouble! Some teams try to trigger paranormal activity by taunting, challenging, or bullying potential entities. We feel this practice, known as “provoking,” is disrespectful and we don’t do it. We invite any entities to make contact with us and bring appropriate objects – such as a firefighter’s helmet when investigating a firehouse – as a way of encouraging activity. Do you work with psychics or mediums? Almost never. We keep open minds about all aspects of the paranormal, but we use the scientific methods of observation, testing, and recording to look for and analyze evidence. We have occasionally worked with people who identified as psychics, and have found they’re not a good fit for our team. Can our newspaper or article do a story on you? Yes, we are happy to educate the public about our work. Reporters may accompany us on investigations in specific circumstances, provided they agree to observe and comply with our procedures. 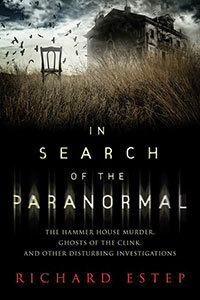 Do you want to be on a reality TV show about paranormal investigators? No. We do not. We are a purely scientific team, and conducting an investigation with an ulterior goal in mind (such as entertainment) compromises the integrity of the investigation. Delivering investigations for TV audience puts pressure on the team and the producers to create conflict and drama and even fabricate evidence for the sake of ratings. We believe it’s irresponsible and has the potential to give the public a lot of misinformation.